File 2-0035 - Office building for B.C. Forest Products Ltd., Victoria, B.C. 2 architectural drawings : ozalid ; 90 x 90 cm or smaller. 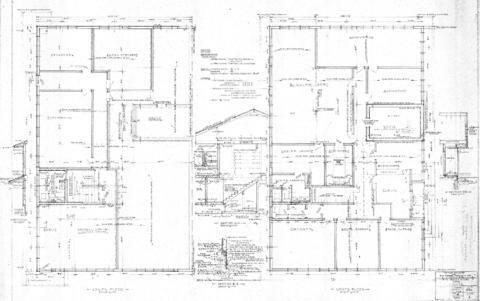 Consists of architectural plans for building at 371 Gorge Road East. Owner/client: British Columbia Forest Products Limited.